Abu Dhabi, June 13, 2012- Finance House PJSC (FH), has been awarded at the Banker Middle East Industry Awards ‎‎2012 ceremony with two awards, by means of winning the Best Business Finance Company in the Middle East, and retaining the Best Retail Finance Company in the Middle East for the second consecutive year. Mohammed Abdulla Alqubaisi, Chairman of Finance House, said: “Its ‎an honor that Finance House has been chosen for these elite ‎awards. Being awarded as the Best Business Finance Company in the Middle East, and also as the Best Retail Finance Company in the Middle East for the second consecutive year, shows the indelible mark that we have built in the region’s banking industry”. “Big achievements have been fulfilled. Our excellence in financial services is empowered by our aspiration to meet and exceed our clients needs and expectations”, added Alqubaisi. “Finally I would like thank our professional team who have redefined the meaning of the words experience and commitment, and also to our clients for the trust placed in us”, concluded Alqubaisi. Since inception, FH has focused on creating innovative product ‎propositions that offer great value and outstanding features, through business finance products covering, commercial finance, corporate finance, labour guarantees, and payroll distribution solutions, in addition to retail finance products which includes, credit cards, personal loans, auto ‎finance and home finance. Moreover, FH has earlier launched its Titanium Credit Card which charges a very low interest rate and offers the option of keeping the saving either in gold grams or bonus points equivalent to UAE Dirhams. 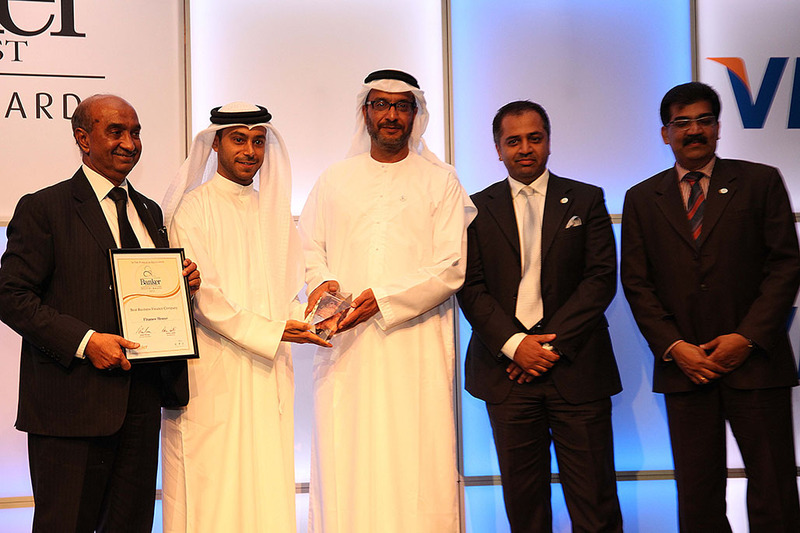 The awards ceremony was held at Jumeirah Emirates Towers Hotel in Dubai and attended by the region's elite banking community, where Mohammed Abdulla ‎Alqubaisi, Chairman of Finance House, received the awards during the Gala Dinner.